The white water rafting on the Zambezi River below the Victoria Falls is commonly recognised as the best and biggest grade 5 white water rafting in the World. Begin your adrenalin white water rafting experience in the "boiling pot" directly below the Victoria Falls and navigate your way through infamous rapids, whose names were conjured to instil fear and trepidation into would-be rafters, “The Overland Truck-eater”, “The Mother”, “Gnashing Jaws of Death” and the final grade 5 rapid of the day “Oblivion”. The experienced rafting guides will steer you on an unforgettable ride through the formidable rapids of the mighty Zambezi River. Victoria Falls White Water Rafting has two different seasons. This is due to the water level of the Zambezi River. Low water rafting commences between the months of August and December. These are the best times of year to raft as you begin your journey from the boiling pot which is situated directly below the Victoria Falls. As the water level drops, the rapids become more intense. During low water season you will negotiate rapids number 1 to 19. Many of these rapids are Grade 5. Victoria Falls high water rafting takes place between Jan – Feb and June – July. As the water level rises high water rafting begins. 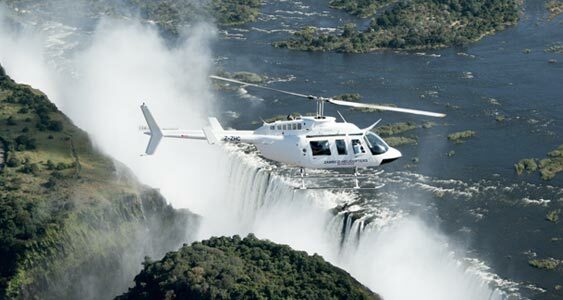 As the water is gushing down the Victoria Falls so intensely during these months it is impossible to start at rapid number 1. The high water rafting begins 10 km downstream of the Victoria Falls at rapid number 11 and will finish at rapid number 23. Please note that White Water Rafting usually closes from the beginning of April until approximately the beginning of June depending on high water levels. The minimum age for white water rafting is 15 years. Persons under the age of 18 years need to have signed authorisation from a parent or guardian. A reasonable level of fitness is required to participate in white water rafting as the hike out of the gorge is quite tough. Guides reserve the right to turn back individuals with health conditions or who are deemed unfit.